This is my favourite breakfast at the moment, I had it 3 times last week. I’m not a morning person at all so I love breakfasts that I can prepare the night before. 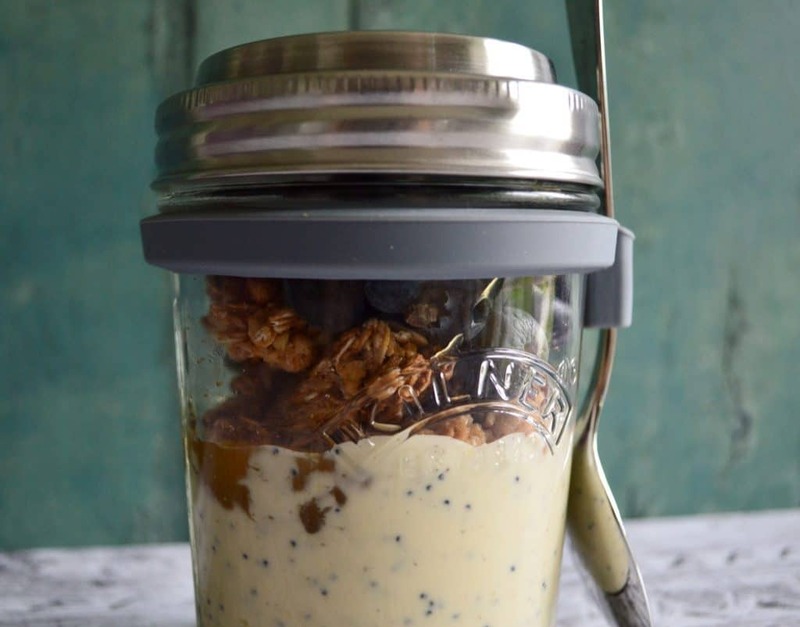 I got this cool little Kilner jar for my Christmas and it has been great for my on the go breakfasts. I’ve used Alpro dairy free vanilla yoghurt and jazzed it up a bit with some poppy seeds and lemon zest. Then I’ve added a generous dollop of lemon curd, I usually make my own but I’ve noticed that Tesco’s own make lemon curd is naturally gluten and dairy free and only 65p. Top that off with some gluten free granola and a handful of blueberries and you have the perfect grab and go breakfast. "Gluten and Dairy Free Valentine’s Day Recipes"